The retinopathy in association with malaria fever described so far includes retinal hemorrhages, vessel changes, retinal discoloration/whitening and papilledema. Malaria retinopathy has been mostly described in severe cases, associated with Plasmodium falciparum, correlating the patho-physiology of retinal and cerebral manifestations. We report an unusual case of proliferative retinopathy as a manifestation of malaria fever, caused by P. falciparum with no cerebral involvement. The patient had features of unilateral retinal vascular occlusion with proliferative changes and vitreous hemorrhage. To the best of our knowledge, such a case has never been reported so far in the literature. This report highlights the possible occurrence of severe proliferative changes associated with malaria fever, which if diagnosed early can prevent possible blindness. Malaria retinopathy has been used to denote the fundus changes seen in patients with malaria caused by Plasmodium falciparum. Seen mainly in the patients with cerebral malaria (CM), these changes correlate well with the patho-physiology of obstruction of the microvasculature with infected erythrocytes. Patchy retinal whitening and focal changes in the vessel wall coloration are the most characteristic changes. Proliferative retinopathy with neovascularization and vitreous hemorrhage has never been described as a manifestation of falciparum malaria. We report such a case in a patient with non-CM. A 17-year-old female patient, resident of South India, presented with the complaints of sudden onset of the decrease in vision with gradual worsening in the left eye for the last 3 months duration. The patient was diagnosed with P. falciparum malaria about a week prior to the onset of the ophthalmic symptoms with sudden onset of chills and rigor with high grade fever, and peripheral blood film showing P. falciparum trophozoites and ring forms. The patient was treated with oral antimalarial drugs along with supportive treatment. There was no history of convulsions, seizures or unconsciousness during or preceding the treatment. The patient recovered from the fever within 10 days, with a gradual onset of decreased vision in the left eye. During the treatment, an ophthalmic referral was taken, which showed features suggesting neovascularization and vitreous hemorrhage. At presentation to us, the visual acuity in the right eye was 20/20, N6, and in the left eye was 20/1200, N36. The patient was orthophoric with normal ocular movements. There was a trace relative afferent papillary defect in the left eye. The anterior segment examination findings of both eyes including gonioscopy were unremarkable. The dilated fundus examination of the right eye revealed a normal fundus [Figure 1]. The fundus findings in the left eye [Figure 2] were as follows: The media was clear, with a small amount of vitreous hemorrhage inferiorly. The disc was pale. The macula showed few exudates suggesting mild chronic exudation, with pigment mottling. The major retinal arcade veins showed a severe obliteration of various degrees at the posterior pole as well as the periphery, with visible small neovascular fronds along the superior arcade vessels. The subhyaloid and the vitreous hemorrhage inferiorly were also evident. The fundus fluoresceine angiogram of the right eye showed a normal study. The left eye, however [Figure 3] showed large areas of capillary drop out in the superior, temporal and inferior retina, various degrees of retinal vessel obliteration as well as multiple neovascular fronds along the superior arcade vessels. The vessel wall staining was evident, as was the capillary obliteration of the foveal avascular zone. The optical coherence tomography (OCT) in the right eye showed a normal foveal contour with a central subfield thickness of 171 microns. The OCT of the left eye [Figure 4] showed a schitic retina superior to the macula, with a few cystic spaces inferiorly, and subhyaloid hemorrhage with a central subfield thickness of 67 microns. The patient was advised for scatter laser photocoagulation in the left eye. She was followed over a period of 2 years, with slow but complete resolution of the proliferative changes in the left eye [Figure 5], with resultant fibro-vascula proliferation causing intermittent vitreous hemorrhage, which cleared spontaneously. The vision at the last follow-up in the left eye was 20/400, N36. Fundus changes in non-CM have also been studied by various investigators in pediatric and adult populations. The changes observed are similar to the severe malaria, with less severe manifestations. ,,,,, Even though, some or all the retinal findings may be noted in nonCM, retinal whitening and hemorrhages have been found to be particularly associated with the CM. Since the severe retinopathy has been described mainly in patients with CM so far, the hypothesized patho-physiology has also been described accordingly in both the organ systems. Obstruction of microvasculature by sequestration of erythrocytes has been thought to play a central role, both in cerebral and retinal manifestations. The physical obstruction by these rigid cytoadherent parasitized erythrocytes is compounded by reduced red cell deformability and adhesive forces between infected erythrocytes (autoagglutination) and between infected and uninfected erythrocytes (rosetting). Impaired retinal vessel perfusion was demonstrated in vivo by fluorescein angiography in 28 of 34 children with CM in a study in Malawi. These patients similarly showed large areas of capillary drop outs as in our case study, but with no evidence of proliferative retinopathy secondary to these changes. Authors hypothesize that the perfusion was impaired in the retinal circulation to such an extent so as to produce large areas of capillary nonperfusion, resulting in the formation of new blood vessels. The treatment in the form of 360° scatter laser photocoagulation resulted in reduced ischemic load and regression of the neovascularization, thus stabilizing the retinopathy. The present case report underlines the importance of having early ophthalmic examination and possible intervention in all patients of malaria, even if the central nervous system is not affected. This case appears to be the first in the literature describing the presence of unilateral proliferative retinopathy, in a patient with severe non-CM caused by P. falciparum, being described in Indian population. Sithole HL. A review of malarial retinopathy in severe malaria. S Afr Optom 2011;70:129-35. Koram KA, Molyneux ME. When is "malaria" malaria? The different burdens of malaria infection, malaria disease, and malaria-like illnesses. Am J Trop Med Hyg 2007;77:1-5. Snow RW, Guerra CA, Noor AM, Myint HY, Hay SI. The global distribution of clinical episodes of Plasmodium falciparum malaria. Nature 2005;434:214-7. Misra UK, Kalita J, Prabhakar S, Chakravarty A, Kochar D, Nair PP. Cerebral malaria and bacterial meningitis. Ann Indian Acad Neurol 2011;14:S35-9. Maude RJ, Dondorp AM, Abu Sayeed A, Day NP, White NJ, Beare NA. The eye in cerebral malaria: What can it teach us? Trans R Soc Trop Med Hyg 2009;103:661-4. Essuman VA, Ntim-Amponsah CT, Astrup BS, Adjei GO, Kurtzhals JA, Ndanu TA, et al. Retinopathy in severe malaria in Ghanaian children - overlap between fundus changes in cerebral and non-cerebral malaria. Malar J 2010;9:232. Looareesuwan S, Warrell DA, White NJ, Chanthavanich P, Warrell MJ, Chantaratherakitti S, et al. 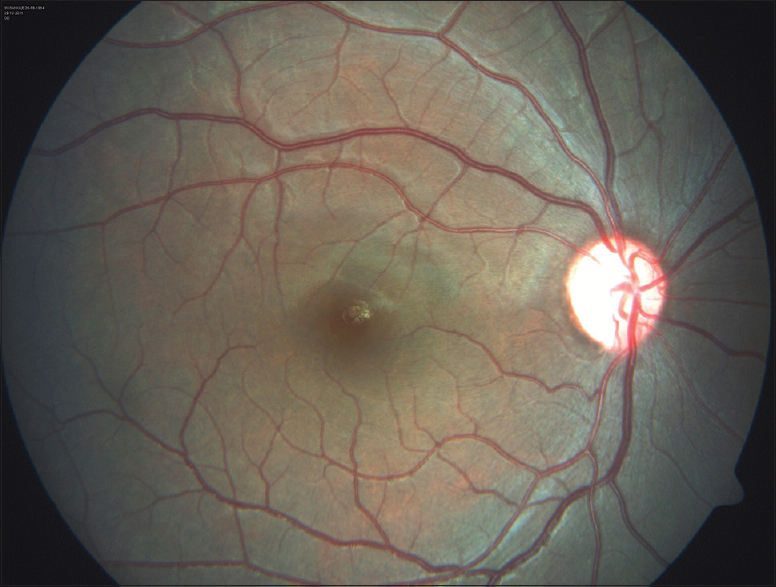 Retinal hemorrhage, a common sign of prognostic significance in cerebral malaria. Am J Trop Med Hyg 1983;32:911-5. Kochar DK, Shubhakaran, Kumawat BL, Vyas SP. Prognostic significance of eye changes in cerebral malaria. J Assoc Physicians India 2000;48:473-7. Beare NA, Harding SP, Taylor TE, Lewallen S, Molyneux ME. Perfusion abnormalities in children with cerebral malaria and malarial retinopathy. J Infect Dis 2009;199:263-71.